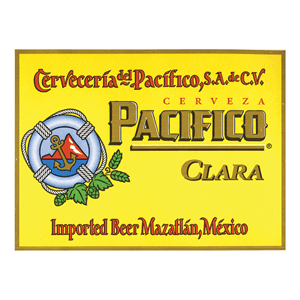 Pacifico is a Mexican Pilsner-style beer. It was first brewed in 1900 at the Cervaceria del Pacifico brewery in Mexico. Pacifico is made with filtered water, hops, corn, malted barley and yeast. It has a hearty and clean flavor that makes it an extremely drinkable lager that pairs well with many types of food, especially seafood. Pacifico has a 4.4% ABV.